We guarantee that the item we are selling is an authentic Audemars Piguet watch. 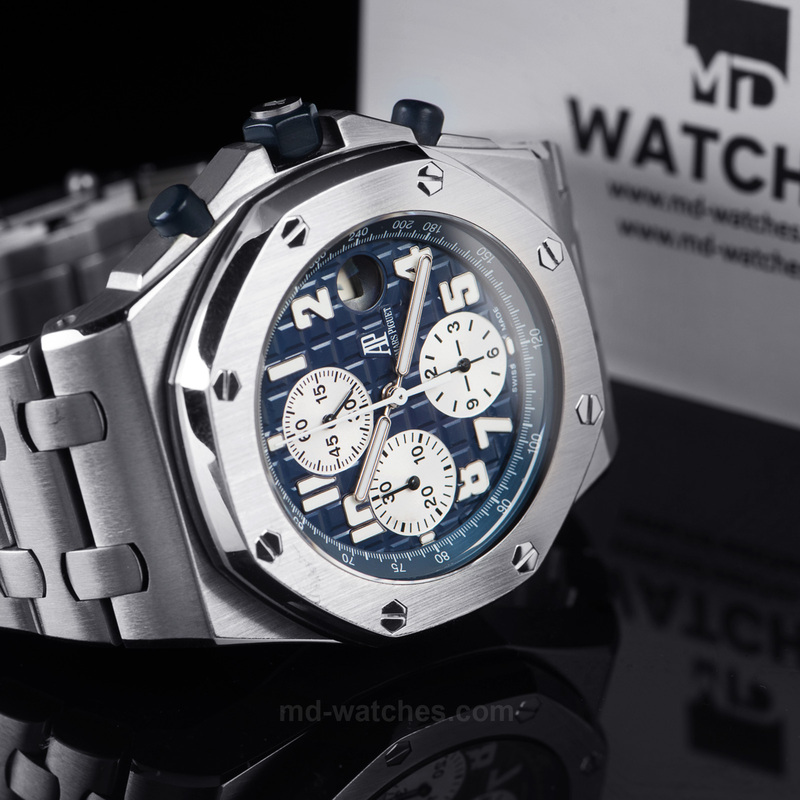 We provide you with 1 YEAR WARRANTY. We guarantee that all the parts are original AP and we can provide you with the test results of the mechanism. Case material: Stainless steel case, ubber clad screw-locked crown and push-pieces. 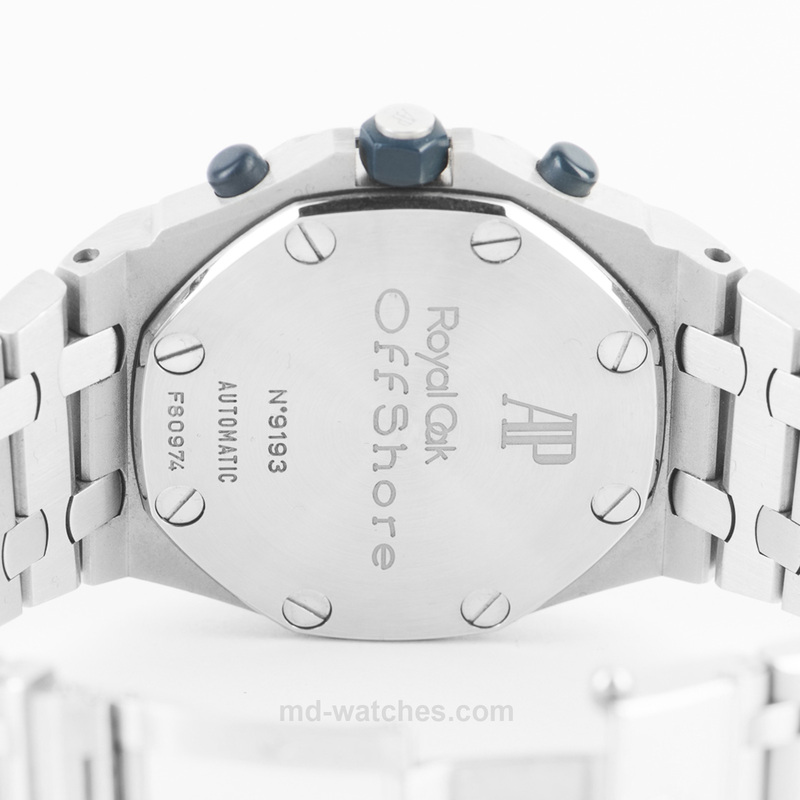 Selfwinding chronograph with date display and small seconds at 12 o’clock. Stainless steel case, blue dial, stainless steel bracelet. 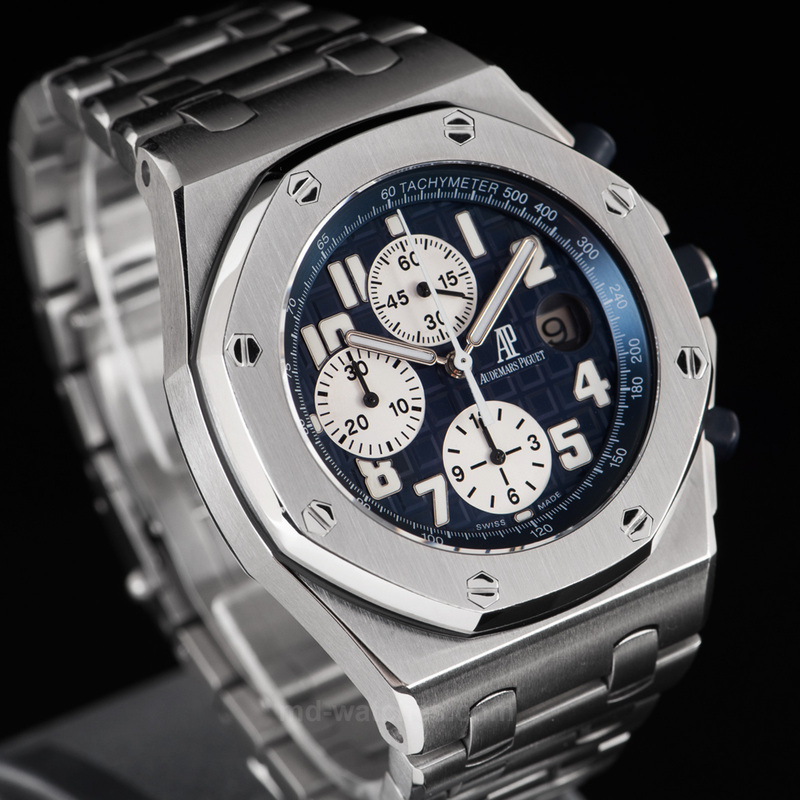 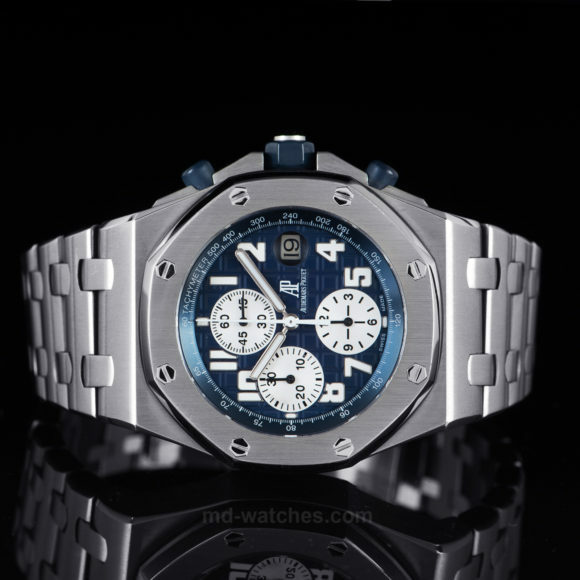 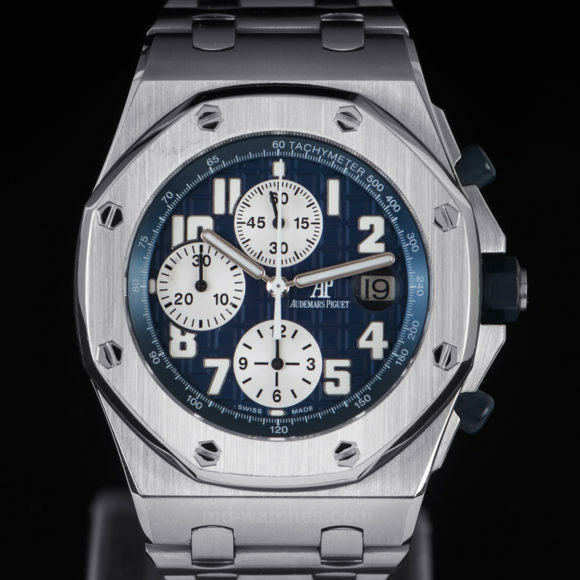 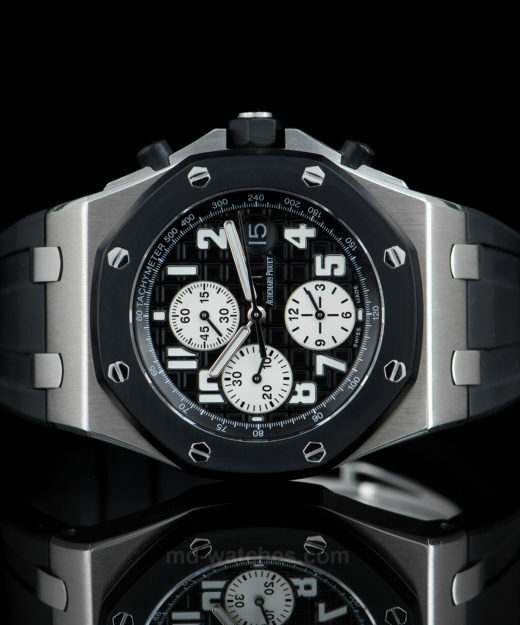 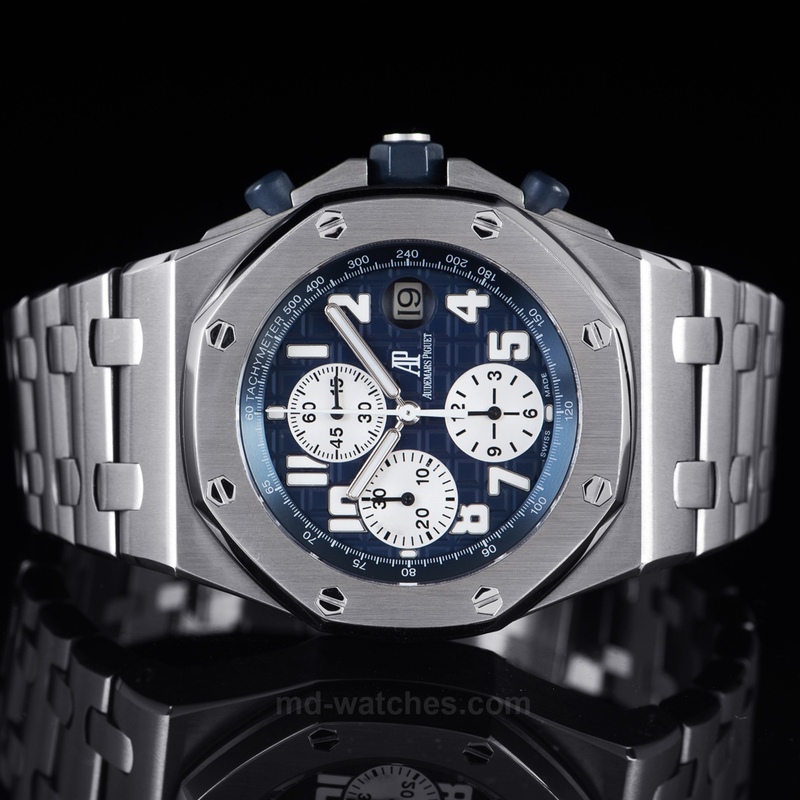 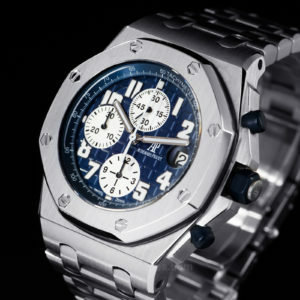 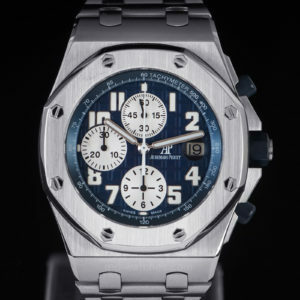 The recent comparable model Audemars Piguet Royal Oak Offshore Chronograph Ref. 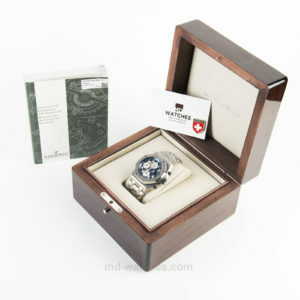 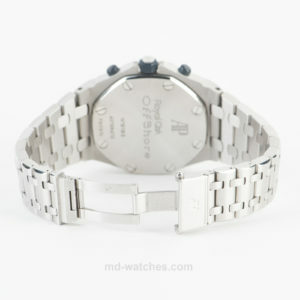 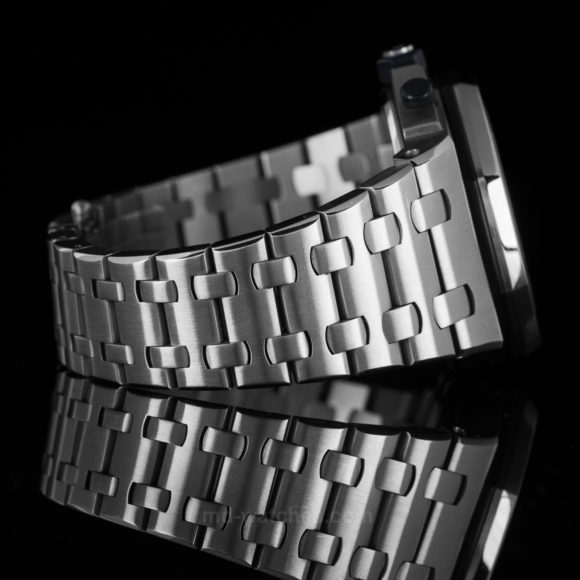 : 25721ST.OO.1000ST.09.A in steel with automatic movement and original AP bracelet has a retail price of 26,800.- Euro.